"Music can change the world, because it can change people," according to U2 lead singer Bono. 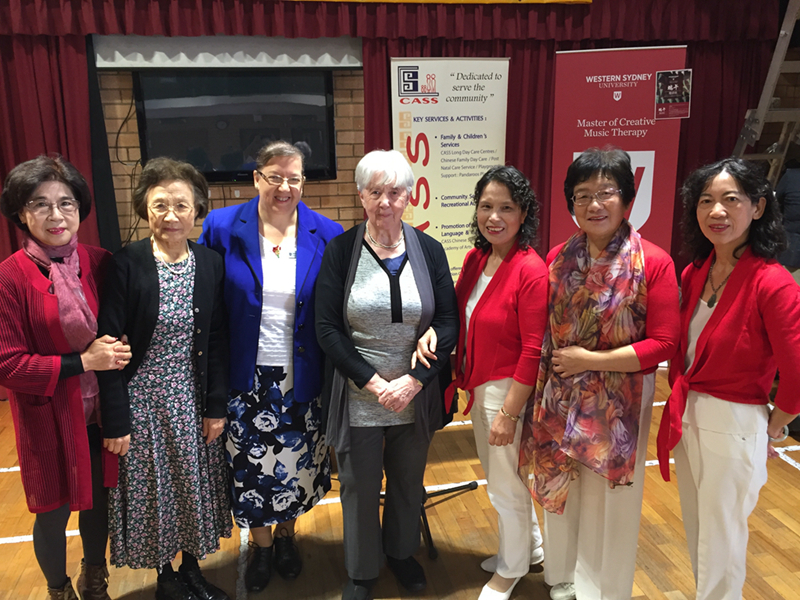 This week the Music Therapy department of the MARCS Institute for Brain, Behaviour and Development at Western Sydney University brought this message to Sydney's Chinese community through a cultural day convened by the Chinese Australian Services Society (CASS) in Campsie on 3 May. 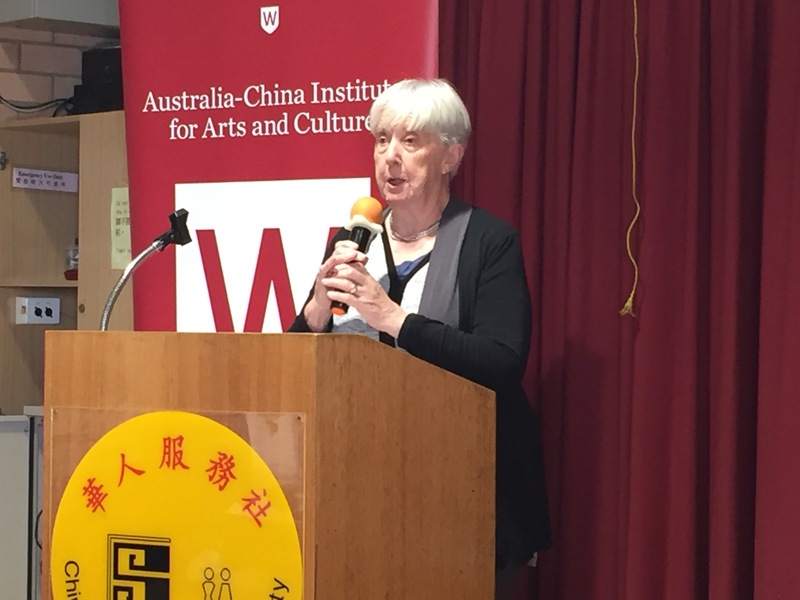 Professor Jocelyn Chey, the Director of the Australia China Institute for Arts and Culture at Western Sydney University, welcomed participants and impressed the audience with her fluency in Mandarin, Cantonese and English. She noted that music was integral to life experiences in all cultures, from mothers' lullabies to their babies through important rites of passage such as weddings and public occasions such as visits by heads of state. Music could communicate between cultures even without words. It was therefore an important element of the culture research program of the Institute. Dr Alison Short, Senior Lecturer in Music Therapy at Western Sydney University, explained that music therapy was an evidence-based practice now used widely throughout the world. It had proved its usefulness in schools, community groups, hospitals, aged care homes and with individuals according to their needs. Western Sydney University was one of only two universities in Australia offering a Masters degree in Music Therapy (the other being the University of Melbourne). There are at present around 50 students enrolled in this course, including Australian and international students. Interestingly, about one third of the students are from Chinese-speaking backgrounds, and this presents a great opportunity for students and graduates to work in a cross-cultural environment. Many of the students were present at CASS on 3 May and demonstrated their music skills to the audience and in break-out therapy sessions. Ivan Wong, the Executive Officer for Ageing and Disability Services with CASS, described the long history of music in Chinese culture and its development in modern times as China increasingly engages in cultural exchanges with other countries. He regretted, however, that the therapeutic use of music to support wellbeing was not well-understood in the Chinese community. He hoped that the cultural day would lead to more collaboration between CASS and the Music Therapy department of MARCS and the wider use of music therapy in Chinese community homes and services. "Music can change the world, because it can change people." Music is therefore an important part of the research program of the Australia China Institute for Arts and Culture. Later this year the Institute will host more music events, and information will be provided close to the date.